George Ntoumas was born in Athens, Greece. He currently lives between United Kingdom and Greece. He is a young photographer with a BA(Hons) degree in Photography for Digital Media as well as studies in Art and Design. His work captures the beauty and enigmatic expressions of people and his pho﻿tographs are cinematic and fashion- forward. He is experimenting with different kind of formats such as analog photography and various other techniques, in order to develop and create his own vision. He is also interested in documentary photography. George is inspired from Art, Cinema and Fashion trends. He works as a freelancer for various agencies, art galleries and artists. 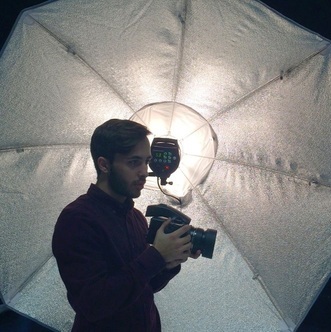 ​Furthermore, he is working also as a Videographer and Photo assistant.